It all started with Red Wing boots. At the time, J.Crew's Frank Muytjens, now the head of men's design, was simply one of the design team who were all sporting the Minnesota-made work boots. They decided that instead of making their own version, they'd work with the century-old shoe maker and bring their boots into J.Crew's stores. It was an instant success and in the years following, Muytjens and his team have partnered or collaborated with dozens of up-and-coming or hard-to-find cult brands—the kind once only known by industry insiders. And while there are plenty of American brands on their roster, some of the most interesting pieces were found outside the US. 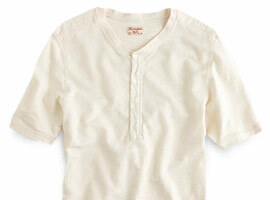 You want quality, archival workwear from Japan or the perfect Canadian henley? You no longer need a plane ticket. 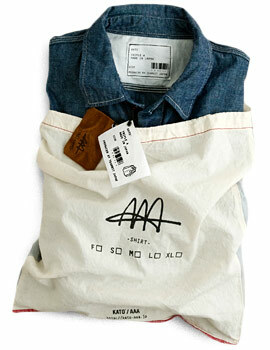 J.Crew is the only place outside of Japan that you can buy this chambray shirt ($250) by designer Hiroshi Kato. Workwear aficionados will appreciate the authentic archival details and the indigo-dyed, Japanese-made cotton. 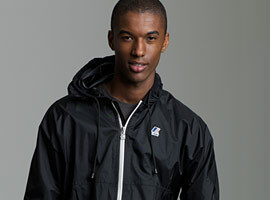 Created in Paris back in the 1960s, this brand is legendary for their lightweight windbreakers, like this sleek black style ($68) with a signature white zipper and heat-sealed seams. 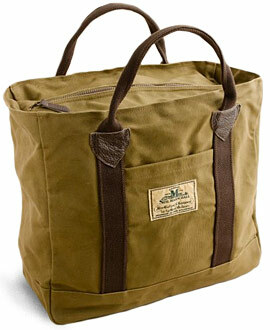 Plus, it easily folds itself into a little bag with an attached strap. This is the only place in America to score this Vancouver-based knitwear brand's rugged henleys, like this short-sleeve version ($65), recreated from a 1930s-era pattern in organic slub cotton terry. These German-made bags are still made the way they were back when this family owned brand started crafting bags 115 years ago—from vegetable-tanned leather and sturdy cotton canvas. In fact, the patch on this tote ($175) reads "Our best machines are still our hands." The number of outside brands currently in J.Crew's "In Good Company" stable. While J.Crew is the only place in America you can find pieces from the bespoke tailor Benson & Clegg, we're partial to their picks from another British brand. 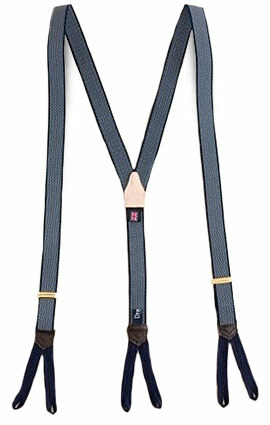 These slim pindot suspenders from Drakes ($70) are made in England and come complete with a button kit so you can sport them with your favorite trousers.